Nice job! It's nice to see a place to post/search for CFML-related jobs for FREE! Glad you like that steve and thanks for mention at Twitter. An excellent new resource, thanks for building that for the community, and especially for the free job posting. I'm sure you have a few things on your "to do" list, how about showing the name of the location/town on the results page? I hope the site gets lots of hits. Are you tracking how many people apply for each job, for your own statistical purposes of course? Thanks for the encouraging feedback. In order to simplify the listing display in the main screen, i have limited the details in main page and included those in the individual job details page. Yes currently I’m tracking the internal page clicks. Also the next version will have some additional social integration / twitter posting ect. Wonderful Site !!! 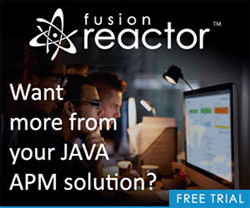 Very useful for CF Developers to have a global search for ColdFusion Jobs. Thank you. Glad you liked that Ajo Koshy!